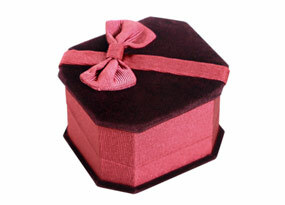 a sweet surprise- two steel Kegel balls, nestled in a fitted burgundy case, topped with a delicate bow. This small burgundy box contains everything your lady needs to tone, tighten, and enhance sexual pleasure. The small balls slip easily inside, and the weight of the steel provides the resistance needed to obtain all the benefits this ancient and time-tested practice has to offer.